Being at this restaurant, order good pizza. The staff is said to be attentive here. Mica Italie is ranked 4.2 within the Google grading system. A good restaurant full of friendly people. We came from Piatra Neamț and just wanted to take a break and eat something on our way home.The 4-Color Coffee is excellent (Expresso, Milk, Topping and Milk Foam) and we also did eat an Quattro Formaggi Pizza which was excellent too.The prices are so cheap! A special Coffee costs 6 Lei (Approx. 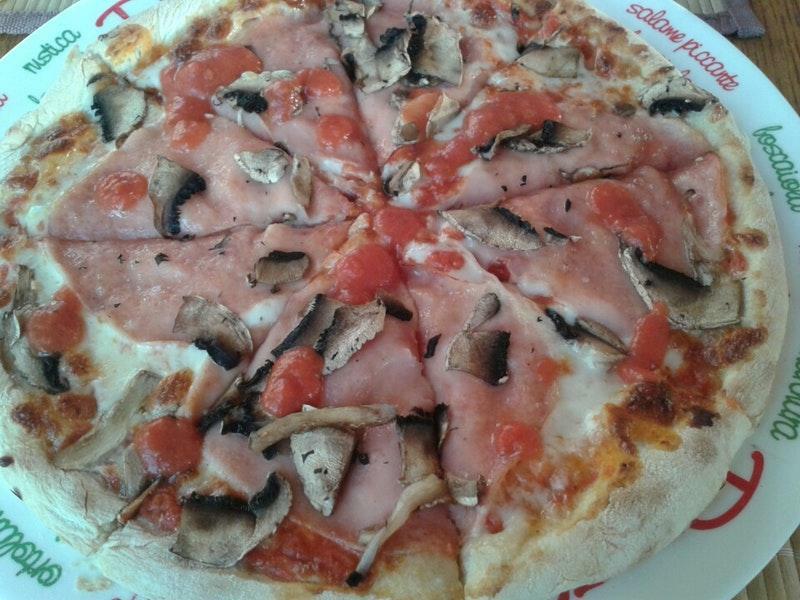 1,5€) and a Quatrro Formaggi Pizza (and most types of pizza) costs around 16 Lei (Approx. 3.75€), which is frustrating cheap :-)Also, the discrete Italian Classic Music is a pleasure for your ears.I recommend you to stop here if you want to eat something or simply get a refresh by drinking an coffee.